In spring and autumn, when temperatures are pleasant and the number of visitors to Rome decline compared to winter and summer. We are comparing Rome Food and Wine Tasting Tour 4-Hours Prices from leading ticket suppliers and Try to find you Cheap tickets prices on the market. This tour allows its participants to enjoy sightseeing of the city of Rome and enjoy top culinary specialties in the Eternal City. The walking tour in a small group ensures the personalized experience of its participants. The travelers partaking in the activity explore the city center and Trastevere, the leading foodie destination in the Italian capital. Tastings of artisanal cheeses and salami, pizza, fried risotto and gelato are part of the guided tour. Specially-selected first-class wines accompany the chosen food. Supper at a Trastevere restaurant is also what travelers can look forward to on this guided tour. Fine dining is an integral part of every Roman experience, hence the tour is recommended to every visitor of Rome. Fans of dairy products, pizzas, fish and meats enjoy the activity in particular. Among them, wine aficionados also get a big pleasure by joining the walking tour. Your Experience With Rome Food and Wine Tasting Tour 4-Hours? Explore the historic center of Rome and the Trastevere district, while sampling some of Italian famous culinary specialties. 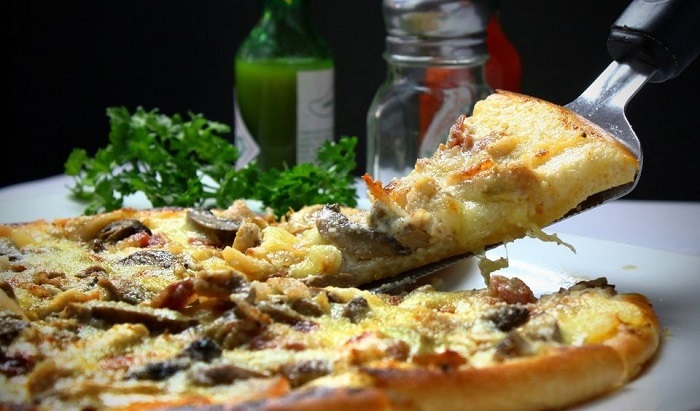 Learn how the Italians eat pizza, which tends to differ to a large extent from many other places around the world. Besides pizza, you will taste specially-selected cheeses, fried cod, artisanal salami and gelato, a world-famous dessert. Accompany food with exceptional Italian wines that increase dining pleasure. Have a light supper at one of Trastevere's leading restaurants. What Rome Food and Wine Tasting Tour 4-Hours Includes? Getting around in a small group for the best experience. The cost of food and wine is included in the price of the walking tour. Personalized attention of the professional guide. During the tour, you will learn how to recognize top-quality artisanal salami by determining their protected geographical location. Italy is one of the few biggest exporters of wine in the world, besting even France in this regard. Travelers Reviews about Rome Food and Wine Tasting Tour 4-Hours? Travelers underline the professionalism and friendliness of tour guides, as well as their sense of humor. Some members of the walking tour state that the activity widely exceeded their expectations, which weren't small. A number of tourists said that, alongside food, they discovered places most travelers miss. Several reviews indicate that there are enough food and wine to satiate you even if you arrive very hungry. Taking the guided tour is a great opportunity for sociable people to meet other travelers and make friends with them. Sadly, disabled visitors can't be accommodated. Print your voucher or show electronic ticket to join the tour. For cancellations at least 24 hours before the beginning of the tour, you receive a full refund. The tour requires of its participants to do a moderate amount of walking, so suitable footwear is essential. A significant part of the activity takes place outdoors, so wear cloth appropriate to the season and weather. Specify any specific dietary needs during the booking procedure.